Find greater mobility through chiropractic care. We treat the entire spectrum of ages. Every stage of growth can benefit from chiropractic care. 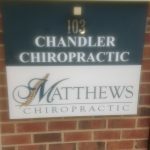 Matthews Chiropractic Center is easy to get to near Downtown Matthews! At Matthews Chiropractic Center your wellness is our top priority. Matthews Chiropractic Center is dedicated to your care and well-being. See some of the programs we can use to help you stay at your best or regain mobility today. In-Network Provider for Aetna, Blue Cross/Blue Shield, Cigna, Coventry National Network, First Health Network, GHI, Great-West Healthcare, HealthCare Savings, Humana Health Care, Kanawha HealthCare Solutions, MedCost, Medicare**, MultiPlan, PHCS, United Healthcare & WellPath. Matthews Chiropractic Center is MOVING! 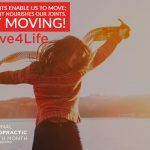 Starting Monday, April 22, 2019, Matthews Chiropractic Center will be at our new location: 148-D East Charles StreetMatthews, North Carolina 28105 Same great care that you have come to expect, but now with more space… and more parking. 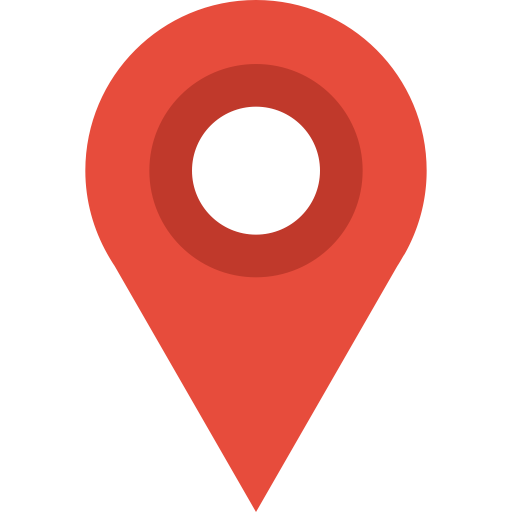 If you have any trouble finding us, please give us a call at 704.841.3833. Matthews Chiropractic Center is Back!! Well, we didn’t really go anywhere we have remained at 1340 Matthews Township Parkway, Suite 103, Matthews, NC 28105 all this time. Silly Google Maps! Give us a call and we will extend our NEW PATIENT discount offer right here in the office. Call us today, 704-841-3833. Dr. Matthew Leibman is the BEST at what he does, i was having sleepless nights due to severe neck pain and discomfort in my shoulders, he took few minutes to understand the problem by asking several question related to my daily routine and my past injuries, he discovered this sleeplessness is due to the shoulder injury i had an year ago which is still not fully cured even after 8 sessions on physiotherapy and medication and so he started from there and in 3 sessions i was able to find a major difference in my shoulder and also my neck. I was preparing myself mentally for a shoulder surgery(rotator cuff impingement syndrome) but after meeting Dr.Leibman i dont even have to think about it and as a proof i was able to lift 70+ pounds with the injured hand without pain. After my experience i suggested a couple to visit this place who has similar sleeping discomforts, i STRONGLY RECOMMEND visiting this place and try at-least 2-3 sessions though you have minor discomforts related to muscles or bones as they grow along with our age and need to be adjusted to put them in right position, remember prevention is always better than cure! I’ve loved my experience here- I always feel amazing when I leave and it has helped my back pain by at least 90%! He takes his time to make sure it is done right and thoroughly. I like the techniques and methods he uses the best of all chiropractors I’ve seen. Dr. Leibman is an awesome chiropractor. He is very knowledgeable and takes time with his patients to be sure that he covers any and all concerns. 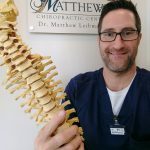 He has also provided websites, reading material, professional knowledge, and personal aids, to ensure I get the maximum benefits from his chiropractic services. The office staff is very nice and friendly and make you feel like long time friends. Their office hours are great because they are sufficient with my work schedule, which not a lot of chiropractic offices are. I am very pleased that I chose Matthews Chiropractic Center for my care. I've been suffering from arm pain for months and was evaluated by many orthopedic surgeons without much relief. Dr Leibman listened to me and was very meticulous in his evaluation. I have had a few sessions and am already feeling much better than I have in a long while. His lighthearted banter as we go through our 'popping' sessions is surely another appeal! Matthews Chiropractic Center © 2019. All Rights Reserved.